All things good in life start with a smile. Such a simple, important, observation. Our Punta Gorda office has been dedicated to improving and maintaining your smile for over 28 years. We utilize the most current methods and materials available in dentistry. Dr. Michael Markgraf and his staff are driven to provide appropriate, gentle care to our patients. Our staff has taken advanced training in the many aspects of dentistry in an effort to allow our patients to receive the care needed, often without having to visit different doctors and their staffs in unfamiliar locations. Whether your individual needs are a simple cleaning of your teeth to rehabilitating your smile, our training and experience allow us to deliver optimal care in a comfortable, familiar setting, surrounded by people you know and trust. Our staff believes people are interested in the care they receive. Some are interested in the "how it's done" aspects of dentistry. Explore our website. We believe in providing the information you need to make correct, informed choices for your dental care. Should questions arise or if you would like to schedule an appointment, don't hesitate to call 941-575-2273 or contact us at markgrafdds@yahoo.com. 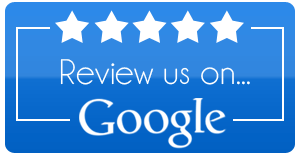 "very professional" "demands perfection" "spotless office" "integrity"
"we feel fortunate to have found Dr. Markgraf" "takes a conservative approach to treatment"
"thoughtful" "thorough" "Finding him was like winning the lottery!" what others have said that makes our practice different! Wonderful professional office staff, dental assistants and amazing dentist! They also have a lot of patience with their patients. Would highly recommend to family and friends. He and his staff are kind and care about each patient. His knowledge of his profession is outstanding. I was new in town and had a dental emergency. It was my lucky day when I called his office. He said to come in right away and he took care of my situation with compassion. He has been my dentist for decades now and has rebuilt all my teeth and never caused me any pain nor any complications whatsoever. 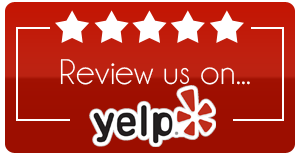 He and his whole friendly and efficient staff are 5 star quality and always go above and beyond for their patients. Punta Gorda dentist, Dr. Markgraf, DDS offers quality dentistry with services including cleanings, teeth whitening, veneers and more. Call 941-575-2273 today.